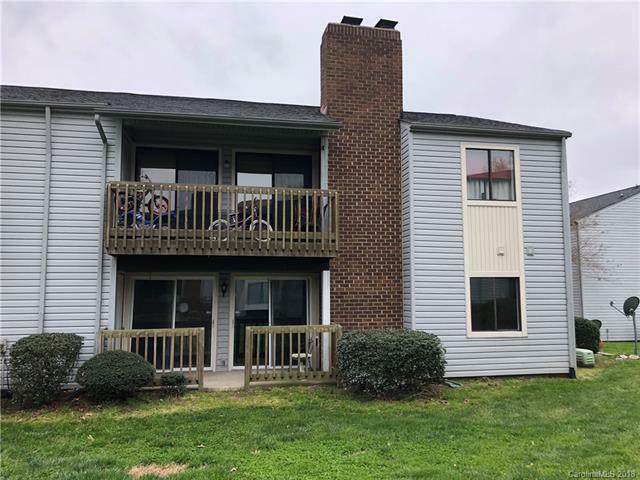 Fully renovated 1st floor end unit condo in South Charlotte situated between Pineville and Ballantyne! New paint and flooring throughout. New cabinets in the kitchen with under mount stainless steel sink. New vanities in both baths with porcelain under mount sinks. New granite in kitchen and baths as well as new ceramic tile. All new fixtures throughout as well as new stainless steel appliances. Master bedroom has en suite bath as well as a spacious walk in closet. Open floor plan with a wood burning fireplace and two sets of sliding doors that allow natural light. Tons of storage throughout with laundry/ pantry room, linen closet and storage closet. Covered back patio that opens to a large common area and steps away from the community pool. Offered by Klutts Property Management Inc. Copyright 2019 Carolina Multiple Listing Services. All rights reserved.